At Malden Solutions, our experienced team works with you to walk you through the steps of applying for a life insurance plan. Providing financial protection to your family in the event of your passing is a crucial investment. Whether you choose to invest through your employer or purchase an individual plan, selecting a life insurance plan to match the specific needs of your family can be easy when you have the right team to work with. At Malden Solutions, our experienced team works with you to walk you through the steps of applying for a life insurance plan. 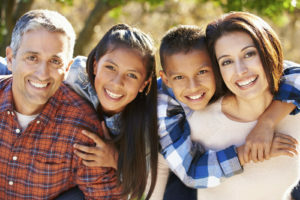 If you are still undecided, consider some of the many benefits of investing in a life insurance plan for your family. In selecting your life insurance with Malden Solutions, you will receive the advantage of lifelong coverage to keep you and your family financially protected in a situation of loss. Choosing whole life insurance will provide you with a fixed premium for the rest of your life. With this, your family will also receive a death benefit in the event of your passing, and with that cash value growing at a guaranteed rate. As you are searching for life insurance policies, you may consider more flexible options depending on your age or specific phase of life. With Universal life insurance, you are free to adjust your premiums and death benefits at any time. This insurance also allows you to increase your premiums and benefits as you age so that your family is financially covered and well-protected in the event of your passing. Policyholders of term life insurance can benefit from the most considerable amount of coverage for the lowest amount of money, but only for a set period. Depending on your age, term life insurance may only be available to you for 10-30 years at a time. Because term life insurance only provides you with coverage for a defined period, your policy may not have any value if your passing should occur outside of the set period. This entry was posted on Friday, August 24th, 2018 at 10:14 am. Both comments and pings are currently closed.